When it comes to legal deliveries in Dallas, Ft. Worth, Plano, and Arlington, experience and an understanding of the system really makes a difference. If a courier service does not specialize in legal deliveries, the risks are bigger than just a missed deadline. When your legal paperwork is not filed on time, a cascade of problems can occur. At Countdown Couriers, we understand how critical it is to respect the needs of our clients who ask for legal deliveries. 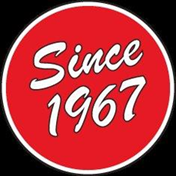 In fact in 1967, we started out by serving a local law firm. Making sure that legal paperwork is delivered on time is a large part of how we became and have stayed successful as a courier company. We want you to find out why so many legal firms have counted on Countdown Couriers, Inc., for so long to handle their legal courier needs. Our experience delivering legal documents is unparalleled in the Dallas/Fort Worth area. Filing legal documents can be hard and you need to know the company you have selected to make the delivery knows what needs to be done for your legal work. Countdown has the experience to understand the ins and outs of the different courts in the Dallas/Fort Worth Metroplex and our staff is trained to take care of all of your needs from filings to setting hearings. We do not treat our legal deliveries like the rest of our deliveries because legal deliveries are different than a regular courier deliveries. We understand how to handle the procedures the courts have set up for legal deliveries and we have been doing it for 46 years. Our drivers who handle legal deliveries are specialists who have been trained to handle the legal courier needs of our clients. Countdown Couriers, Inc., is familiar with the Dallas/Fort Worth area and specifically with the Courts in the Dallas/Fort Worth area. We realize that law firms from out of town could use a bit of local help and we are set up to help you 24 hours a day, 7 days per week. We offer services to out of town law firms so that they know they are getting the absolute best in local delivery services in the Dallas/Fort Worth area. No matter what your need might be Countdown Couriers, Inc., is available to handle your Dallas, Ft. Worth, Plano, and Arlington legal deliveries anytime. Just give us a call to find out more about what we can do for you.